If I had a penny for every time I’ve typed the phrase “I’m a sucker for animal print” I’d surely be one helluva rich girl by now. As it stands, I’m not rich, but I am borderline obsessed with said print. I have leopard jumpers, shirts, skirts, Converse, boots, the lists goes on. 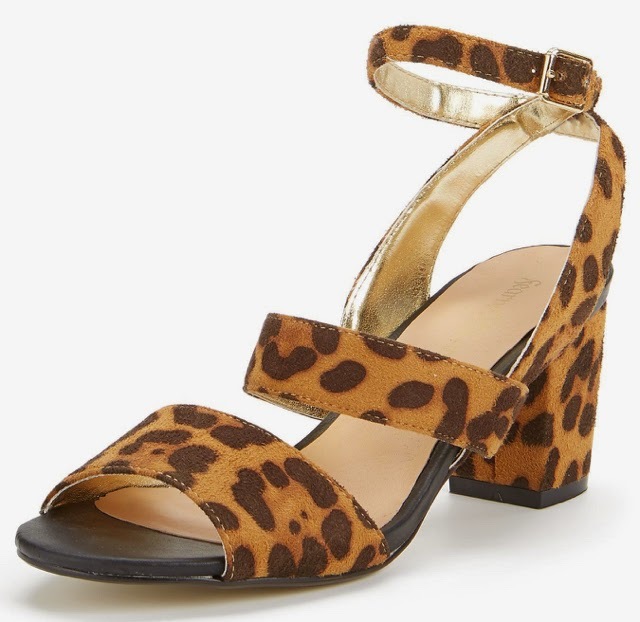 What I don’t currently have though, are Fearne Cotton’s Norah Leopard Block Heel Sandals from her latest Very collection. After clearing out my closet last weekend, I parted ways with at least twenty pairs of shoes I haven’t worn in the last year. I also organised the ones without boxes into my new drawer unit from Ikea. I know, I deserve a pat on the back here. This made me realise exactly what I’m missing. Cute summer sandals that aren’t wedges. I love a wedge as much as the next girl, but with five pairs already under my belt, it’s safe to say I’ve got that base covered. What I do need is a sandal with a sturdy block heel and chunky straps to keep my Bambi-like ankles from buckling. These will do just that. Fearne Cotton, as always, I salute you.